Robert Smol on Canada's worst month for military casualties. The news from the Afghan front in recent weeks has not been encouraging. At least six Canadian soldiers have paid the supreme sacrifice in the last month alone, along with 15 British soldiers, a toll that has provoked a virulent public debate in the U.K. about the merits of the Afghan engagement. Still, Canada's casualties these past weeks, no matter how tragic, pale beside the toll for a single 30-day period in the summer of 1974, a violent and trying time for the Canadian Forces. In the one-month period between mid-July and mid-August of that year, a total of 13 Canadian military personnel died while on duty, mainly as a result of peacekeeping operations gone awry in Cyprus and the Middle East. In that same month, six teenage cadets at Valcartier, Que., were also killed during a training exercise. To this day it remains Canada's single worst month of military carnage since the Korean War — more than any single month in Afghanistan. It is also part of the reason for recognizing Aug. 9 as National Peacekeepers' Day, a commemoration that somehow took until 2008 to be passed into law. Why so long for the recognition? And why such seeming indifference to the history of the bloody summer of 1974 outside the military and veteran community? As military historian Jack Granatstein says, "Canadians assume that there are no dead in peacekeeping and that is why they like it." He is probably right. But the lessons from the summer of '74 suggest the risk between cold war and hot is much the same. 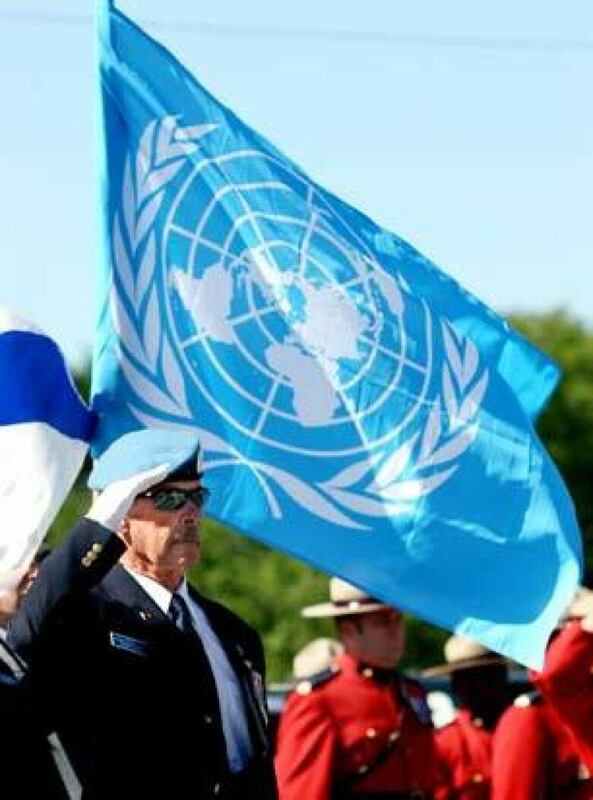 By the time the Canadian Airborne Regiment was posted to Cyprus in 1974, the UN mission, separating the warring Greek and Turkish populations on the Mediterranean island, was in its 10th year. At that point, things appeared to be calming down. But the calm ended on July 20 when the Turkish military invaded following the overthrow of then president Archbishop Makarios by the Greek Cypriot National Guard. "Unless you were shot at, you weren't allowed to use any type of weapon," recalls retired major-general Alain Forand, a captain at the time. Over the next few days, the Canadians found themselves struggling to hold their ground between the two belligerents and also to deal with an increasing refugee problem in the thousands of Greek-Cypriot refugees moving south in the face of the advancing Turkish offensive. In these tense situations, the Canadians were obliged to return fire on more than one occasion. One of these occurred as Forand was trying to rescue two wounded airborne soldiers trapped in an open area between the warring factions, an action for which he would later be awarded the Star of Courage. "There were two wounded commandos so, as I went to get these guys, I placed two machine guns and told them that if I am fired upon I will give you the order to fire. As I went down to get the first one I was fired upon, so I gave the order to fire back." Back home, the Forces initiated a large-scale reinforcement and re-supply operation in support of our troops on the island. One Canadian peacekeeper was killed on Aug. 6, the second on Sept. 10 and 30 were wounded before things calmed down. Reinforcements included the remaining members of the Canadian Airborne along with 27 amoured reconnaissance soldiers from the Alberta-based Lord Strathcona Horse regiment under the command of then lieutenant Cameron Ross. According to Ross, who had to postpone his wedding on account of the fighting, the reinforcement operation was a case of mass improvisation. He was given only three days notice to get his troop of armoured reconnaissance soldiers selected, assembled and ready to embark. "And then within a week we were going into operations in Cyprus where we are being fired at and the whole works. "There is no comparison to nowadays where you have months of pre-deployment training and you know your team before going, and you have time to do all the equipment checks." Following the Yom Kippur War in 1973, a UN peacekeeping mission was set up to police a buffer zone, mostly along the Golan Heights between Israel and Syria, to keep the combatants apart. Canada's primary role was to supply and maintain the communications links between the different UN forces. On August 9, 1974, on a scheduled flight from Ismailia, Egypt, to Damascus, Syria, UN flight 51 entered Syrian airspace from Lebanon after receiving clearance from Syria. Shortly after crossing the border, however, the Canadian military aircraft, a De Havilland Buffalo, was struck by three surface-to-air missiles fired from a Syrian army unit. All nine Canadian servicemen aboard were killed. The military inquiry that followed would not rule out the fact that the Syrian military may have intentionally targeted the aircraft to put pressure on the UN to limit Israeli flights over Syrian airspace. 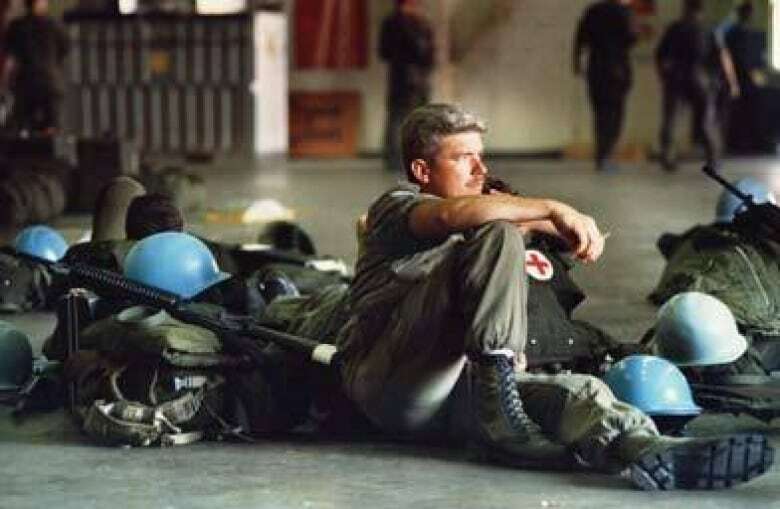 To this day, the shooting down of UN Flight 51 remains the largest single day loss for the Canadian military since Korea and the basis for August 9 being selected as National Peacekeepers' Day. As army cadets spent much of their summers and training periods on a military base, it was considered prudent at the time to teach them how to identify and handle certain explosives. On July 30, 1974, at Valcartier, Que., a company of 138 cadets gathered for one such safety lecture given by the officer commanding the ammunition depot on the base. However, at least one live grenade had made its way into the officer's package of training aids, apparently in the process of being transferred from the live-fire range, it was later reported. "When the explosion happened it was like a cracking thump," recalls former cadet Gerry Fostaty who was walking up to the classroom at the time of the explosion. "The whole complex shook, windows blew out. It was silent for about two seconds and then it became very loud and people were screaming and running." Six cadets were killed in the explosion and a coroner's inquiry would blame camp authorities for allowing "a climate of negligence and carelessness," according to reports. But it does not appear that much follow-up took place. The regular-army officer who was in charge of the lecture was acquitted at a trial and allowed to continue with his career. Cadet training continued at the camp. And only the regular and reserve military members present were allowed to seek compensation for any trauma they encountered. In all, 15 Canadian Forces personnel would be killed in the summer of '74 — 21 if you include the six cadets. Later, on Oct. 18, a further five Canadian servicemen, mostly from 450 Transport Helicopter Squadron, were killed on duty. Looking at the larger picture, at least 122 Canadian peacekeepers have died while on UN assignment somewhere since 1956. The number would be much higher, of course, if we counted those who died during training or related exercises. By comparison, 124 Canadian soldiers have been killed in Afghanistan between April 2002 and July 2009 (an average of 1.4 deaths a month). Not unexpectedly, the largest numbers came in the early going, at least in the early going of our deployment to the more dangerous Kandahar province, when, for example, there were 25 deaths in the four-month period between August and November 2006. For those who do remember, the events of 1974 help prove the point that any military operation — peacekeeping or otherwise — can only succeed with effective combat training as well as the willingness to use appropriate force. "Cyprus caused me at a very young age to appreciate force and the threat to use force means a lot in peacekeeping," says Ross, the then young lieutenant who brought in the armoured reinforcements. "You can negotiate your heart out, but, for ninety per cent of the world, what the opposing side only understands is brute force and if you do not have that then it is seen as a sign of weakness." But the ultimate lesson, as one freakish month 35 years ago reminds us, is that the cost of being prepared can be very steep.